Companies that opt to migrate away from Wildfire and North Social/Vocus either because their offerings are too expensive or their suites of features and services aren't necessary, now have an opportunity to adopt specialized tools. Niche social media tools allow companies to stop paying for more than what they need and adopt over the vision and execution of their ideas. 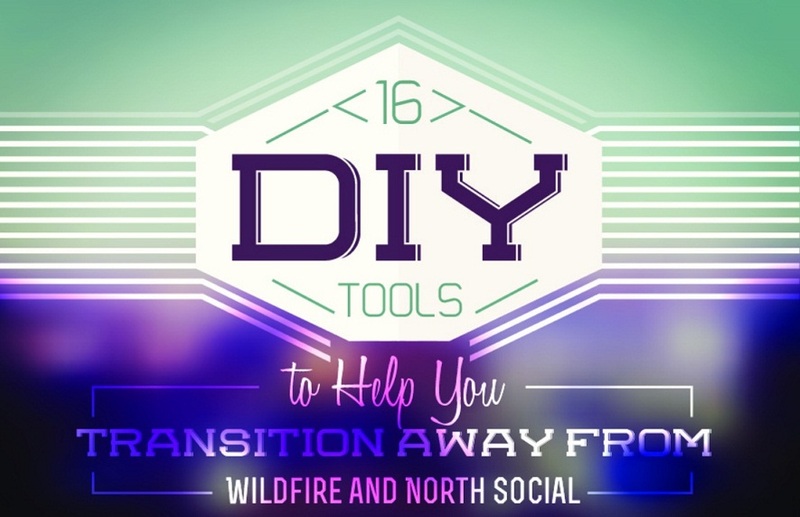 Here's an infographic from sociallystacked offering some of the DIY alternatives for businesses searching for replacements for Wildfire and north Social. The visual features well-known niche social media marketing tools across three major categories: Social Messaging and Scheduling, Web Analytics and Social Landing Pages (promotions/apps). Social media post scheduling tools: Hootsuite, Buffer, Socialbro, Postplanner, Sproutsocial. Web Analytics: Socialbakers, Kissmetrics, Simplymeasured, Blitzmetrics, Google analytics. Social Promotions/Apps: Woobox, Rafflecopter, Tabsite, Easypromos, Offerpop, Shortstack.